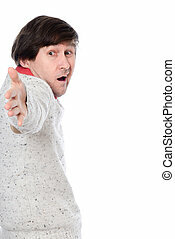 A man standing with hands outstretched is perplex. 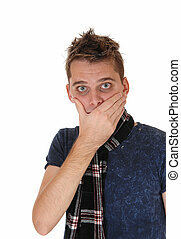 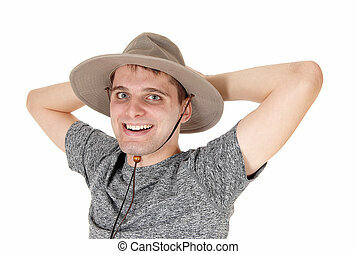 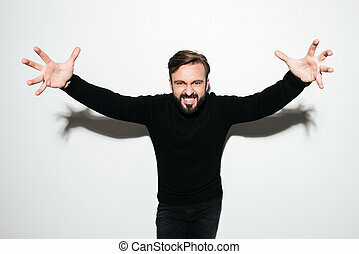 Young business man is puzzled about what is going on in his business stretching out his hands and open mouth, isolated for white background. 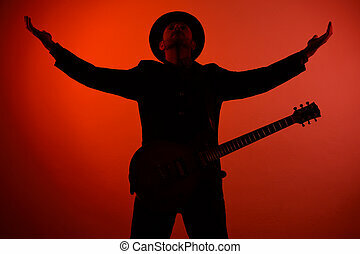 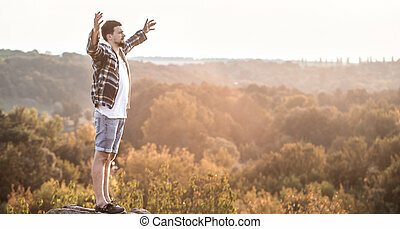 one handsome man is standing on a meadow with raised hands. 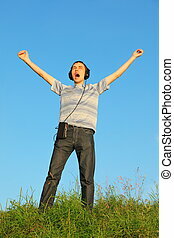 headphones on his hand. 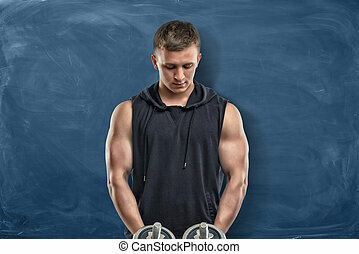 An athletic man is standing with grips in his hands and a blackboard behind him. 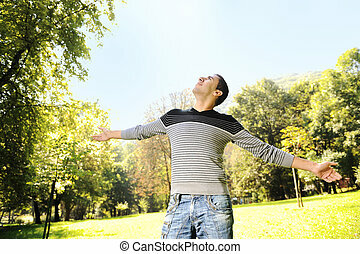 Sport in life. 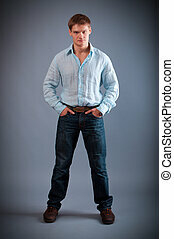 Athletic body. 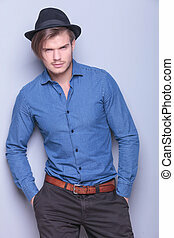 Self-confident look. 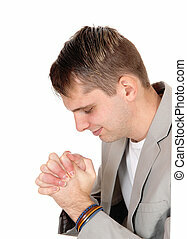 A handsome guy with tires in his hands is standing by the plane. 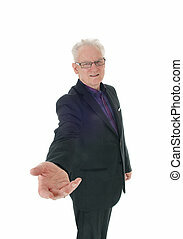 A senior business man standing in a suit and glasses with a welcome outstretched hand, isolated for white background. 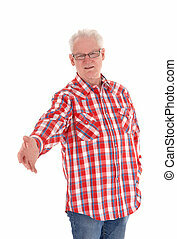 A senior man standing in a checkered shirt and glasses with a welcome outstretched hand, isolated for white background. 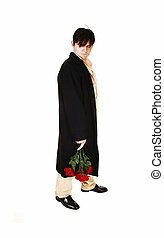 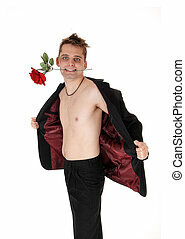 A young man in a beige suit and black coat with a bunch of red roses in his hand, standing for white background, is sad of broken relationship. 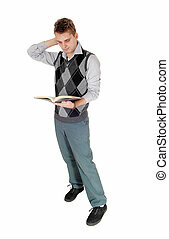 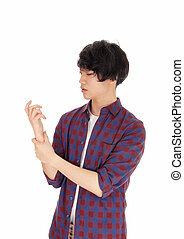 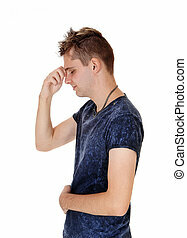 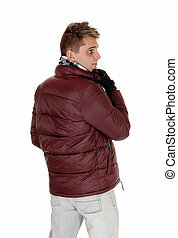 A young Asian man standing in a checkered shirt holding his painful arm and is worried, isolated for white background. 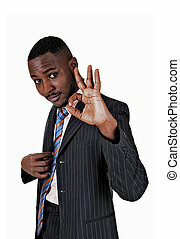 A black young man standing for white background showing with his hand all is OK.
A happy Caucasian pregnant woman with her baby tummy, holding her suspender, her African man is looking on, isolated for white background. 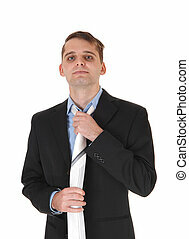 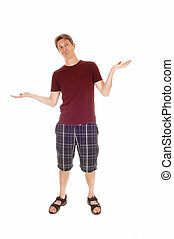 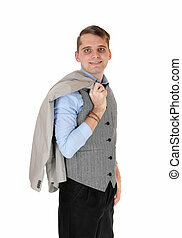 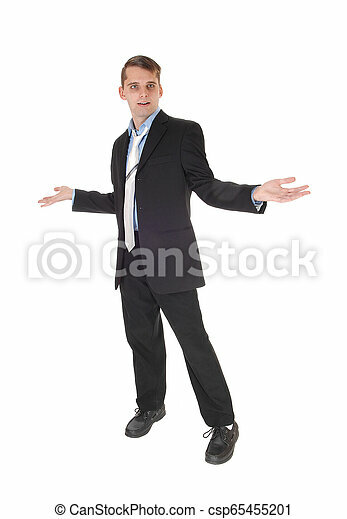 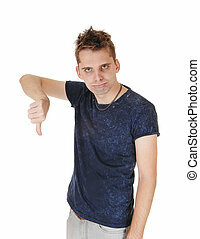 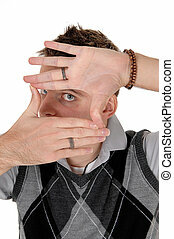 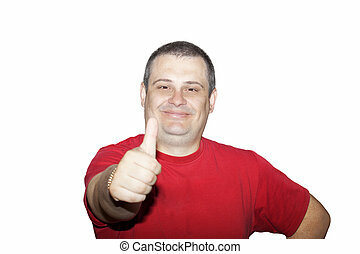 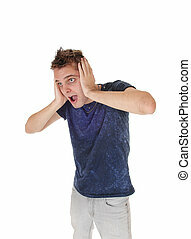 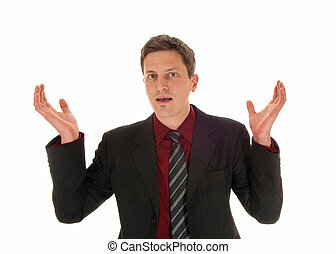 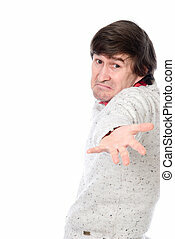 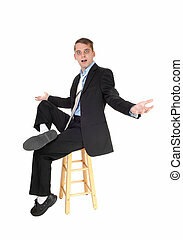 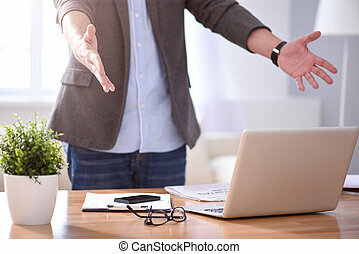 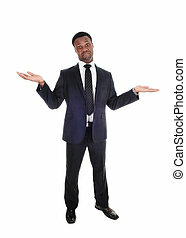 A young businessman standing for white background with his hands raised, is totally surprised. 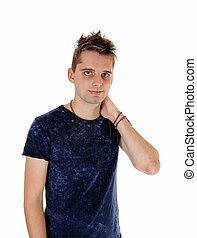 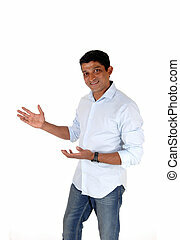 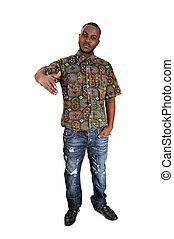 A handsome young black man in a colorful shirt greeting with outstretched hand, for white background. 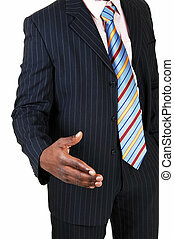 A handsome young black man in a blue suit greeting with outstretched hand, for white background. 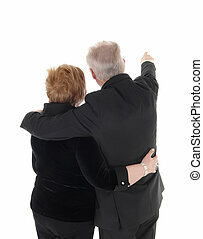 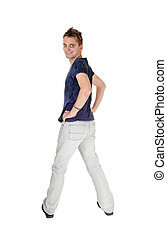 A senior citizen couple standing from the back and waist up, pointing with one hand, isolated for white background.